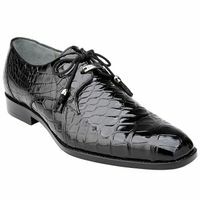 Alligator Shoes also known as gator shoes are for the fashion minded man who buys the very best. One time a good customer of mine was in the store shopping and was interested in buying some what he referred to as Gator Shoes and sometimes mistakenly for Crocodile Shoes which are really expensive reptile shoes made of alligator leather because he had heard other people bragging about the fact that either they owned a pair of Mauri Shoes or they knew someone that did. 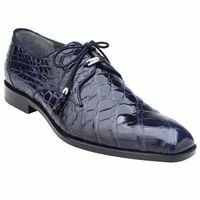 He had heard reviews that mens gator shoes made from alligator skin leather cost hundreds of dollars which I had confirmed to him but he didn't quite understand why these fancy alligator skin footwear from David Eden shoes cost so much to buy. So quickly I went and retrieved a pair of Belvedere Shoes that you can buy and that we sell online and pulled them out of the box for review. I gave him one shoe to look at for review and had the other shoe. I started explaining to him why these hand made exotic skin shoes cost so much more to buy than a look alike version of a printed leather shoe that you can buy cheap. I pointed out that first of all there is a rarity of exotic animal skins like alligator available to be made into to these hand made gator shoes and also explained the fact that gold costs so much more than silver to buy because in comparison there is much less gold in the world than there is silver so by that very nature it will make gold cost that much more to buy. Second, I started showing him the quality features that a pair of genuine alligator shoes for men have. 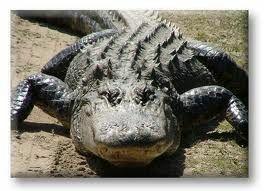 I told him to pull out the paper stuffing and put your hand inside the gator shoes he was holding. Feel that? It's a full lambskin glove leather lining that is buttery smooth. Your feet will feel that luxury immediately. You don't find that in a pair of $70 shoes that you buy. At best, there maybe a partial cheap pigskin leather lining but if you put your hand inside you will feel that forefoot part of the shoes has fabric for a lining not a full glove quality lambskin lining that you would find in a pair of real gator shoes.